This is a review of Vagisil Intimate Feminine Wash. 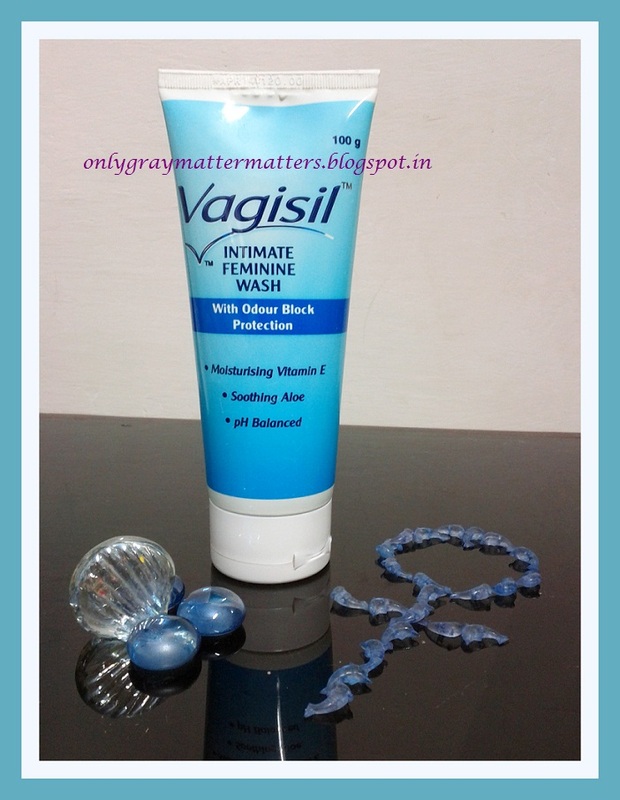 This was released in India by Elder Pharmaceuticals in Feb this year, along with two other feminine hygiene products: Vagisil Anti-Itch Creme and Vagisil Intimate Feminine Lubricant. I bought it online from Medplusbeauty.com. In the past I have used a few bottles of Lactacyd and another feminine hygiene wash from Avon. Since Lactacyd is not readily available in my current city, I thought of giving this a try. Packing: Flip open cap, Inverted Tube, nozzle comes sealed with aluminium foil. Need to puncture the seal before using. Vagisil Intimate Feminine Wash looks and smells like Clinic Plus Shampoo (blue gel). It is highly concentrated and very sticky. Initially a lot of liquid used to come out and I felt that this kind of liquid product should not come in such tube packing. This comes in a bottled packaging in other countries. Later as the level went down, it wasn't that runny. Dashing a direct stream of water in the feminine private area is not advisable, as it disturbs the natural pH and washes off the body's natural defense layering against infections. Then if you have to dash a lot of water there just to rinse off this product, it defeats the whole purpose of using it in the first place. Honestly, I have seen no difference between washing my private parts with this or any other highly foaming shampoo. Initially I didn't like it for excessive foaming and now I hate it even more because it has eventually started itching. Well, the embarrassing feminine odour they are using as a marketing stunt, it is important to note here that the feminine private part and discharge do have their own distinct smell and it is something natural and nothing to be embarassed about. But if it smells really odd or foul, it is advisable to see a doctor than use such a stupid wash full of Sodium Laureth Sulphate. Here comes the best part. A product that looks so innocent at face value and uses attractive terms like 'hypoallergenic, enriched with skin-soothing chamomile, Vitamin E and Aloe', can you imagine what all goes into it. I researched each ingredient and found that besides SLS (Sodium Laureth Sulfate), this feminine wash contains other potentially harmful chemicals, which are restricted from use in cosmetics in certain countries. Even where these are allowed, there is a certain % in which they can be used, but the percentages are not mentioned anywhere on the packaging. SLS: A surfactant commonly used in shampoos. Carcinogen and can cause skin allergies. DMDM Hydantoin: Used as a preservative instead of Formaldehyde. But this product itself slowly releases formaldehyde in a product, therefore posing a bigger danger. This is suspected of causing skin or sense organ toxicity. Iodopropynyl Butylcarbamate: Again a preservative, used as an alternative to parabens. It is acutely toxic by inhalation and should not be used in products that can be aerosolized or inhaled. It is a potent and proven contact allergen, which causes allergic dermatitis. This is also commonly found in skin wipes though it is banned in cosmetics in certain countries. Benzothonium Chloride: This compound is highly toxic by ingestion. It is also harmful by inhalation or skin absorption. It is an irritant of the skin, eyes, mucous membranes, and upper respiratory tract. When heated to decomposition this chemical emits very toxic fumes of carbon monoxide, carbon dioxide, nitrogen oxides and hydrogen chloride gas. It is sensitive to light, meaning can cause chemical reaction when exposed to light. I had been thinking of checking the ingredients ever since the itching started. At first glance, I thought it could be SLS but I see there are other potential allergans in this product that could be causing it. People with sensitive skin, stay away from this. If you use a feminine wash in your daily routine please share your views/comments. I have sensitive skin so its not for me then. Yup Niesha, I don't remember the ingredients in Lactacyd, but that was milder than Vagisil. Dear Ruby, this is one toiletry that is an integral part of my routine. Since it is not good to use soap in the vaginal area, you do need something mild to clean up the skin, especially during periods. Most washes have these chemical ingredients, it's just that we don't bother to check :) What does not suit my skin may suit others and many ppl are happy using other SLS based washes. Thanks Jennifer :) I will surely share with you if I get a better one. To be honest, this one doesn't burn at all, but gradually started itching sometimes. 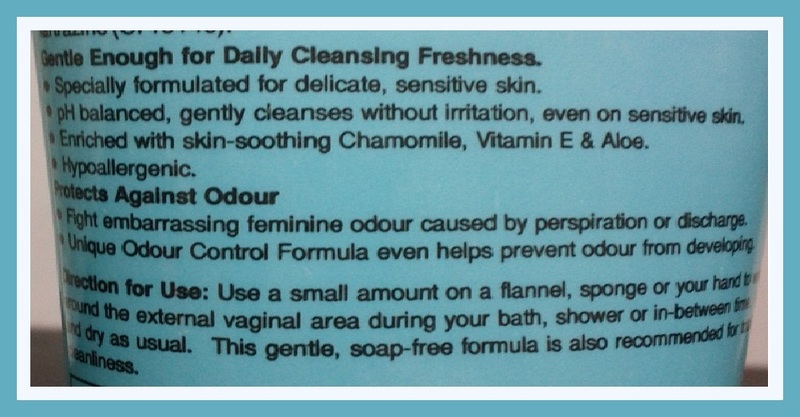 Hey Apoorva, thanks :) Yes, any female past puberty can/should use this as a part of their daily hygiene routine. At least, during periods, such washes are really helpful in staying clean, happy and itch-free. It is a vaginal wash to be used instead of soap. Hi, Vagisil is a good brand abroad and it is a product that is used for "douching", an old pregnancy prevention and general feminine hygiene method. 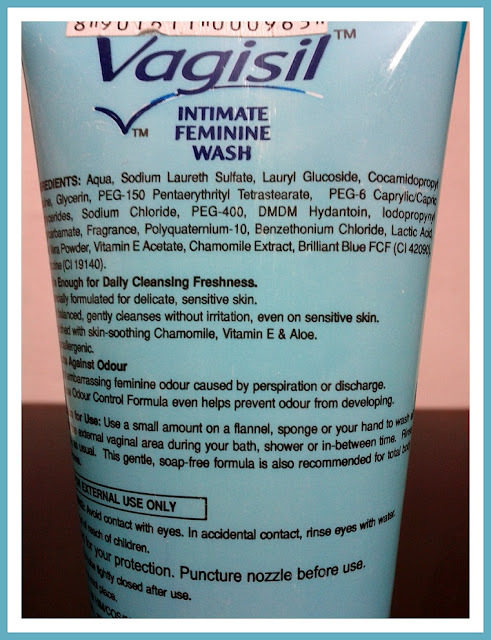 I however prefer carefree's intimate wash. Haven't tried this though vagisil is equally popular and recommended. Hi. I haven't seen Carefree's intimate wash in the Indian market, so thanks for telling me about it. Douching is not common in India but am sure a lot of women may be doing that, even though gynacs never recommend douching. I prefer to wash just the outer area with the wash and let the natural juices clean the within. The bottled packing abroad makes me think it is sold there in liquid form than the highly concentrated gel they are selling here. Even when I try just a little drop, I get itching and discharge within half and hour. So I guess there is some skin irritant. May suit others as we all have different skin types. I have just started using Lactacyd feminine wash....is it advisable to use it daily?are there any side effects? I have used 3 bottles on Lactacyd and could not procure after that. Never had the slightest side effect. But I make sure to give a gap of at least 7-10 days before starting the next bottle for any product. Another thing I have learnt the hard way is to use a very small amount and increase the quantity if required. Most times burning happens only because of a higher amount. I do not remember the ingredient list except that it contains lactic acid, the most important ingredient in maintaining the natural flora of that region. And thanks for the compliments :) You made my day!